No plans tonight?! 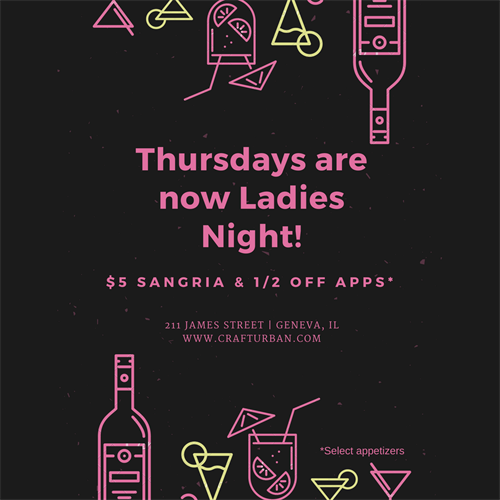 Thursdays are now Ladies Night at Craft Urban. Come out and enjoy $5 sangria glasses, 1/2 OFF apps and good music - hope to see you out!! ????? ?